At the time of this writing it is April 2013. As a way of commemorating history I want to provide a look back 100 years day-by-day to share the events that were taking place throughout the month of May 2013. These articles report the tragic story of the death of Stutz team riding mechanic Harry Martin almost a month after his amazing feat in the closing laps of the 1913 Indianapolis 500. As riding mechanic for driver Charlie Merz, Martin batted at flames, feeding on the inevitable splathering oil of the early cars, that had sprung up from under his engine cowling. Today we have two attachments containing articles, one from the Indianapolis Star and the other from the Indianapolis News - the first articles on the topic of that year's Indianapolis 500 to appear in a major daily newspaper serving the Indianapolis area. The theme of the main articles is the entry list for the race which at that point amounted to 28 cars. Two articles were published May 1, 1913 in the Indianapolis News and bring up interesting points. These two attachments are articles from May 3, 1913 - one from the Indianapolis News and the other from the Indianapolis Star. 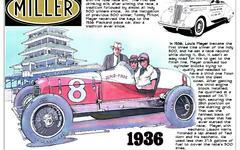 Three good articles on the upcoming Indianapolis 500 appeared in the Indianapolis Star on May 4, 1913. As the Indianapolis Motor Speedway prepared for the 1913 Indianapolis 500 much was made of the international character of the race. In particular the Peugeot and Isotta companies entered "works" teams. Attached are three articles from the May 7, 1913 Indianapolis News that fueled the build-up to the 1913 Indianapolis 500. These are two items from the May 9, 1913 Indianapolis Star. 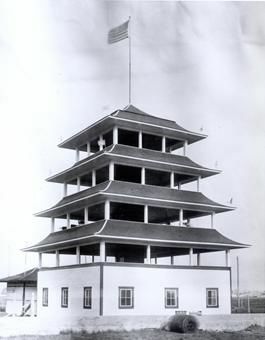 By Saturday, May 10, 1913 activity was picking up at the Indianapolis Motor Speedway as the brick track's staff prepared for the May 30 Indianapolis 500 Mile Race. Attached are six articles published that day in the Indianapolis News.